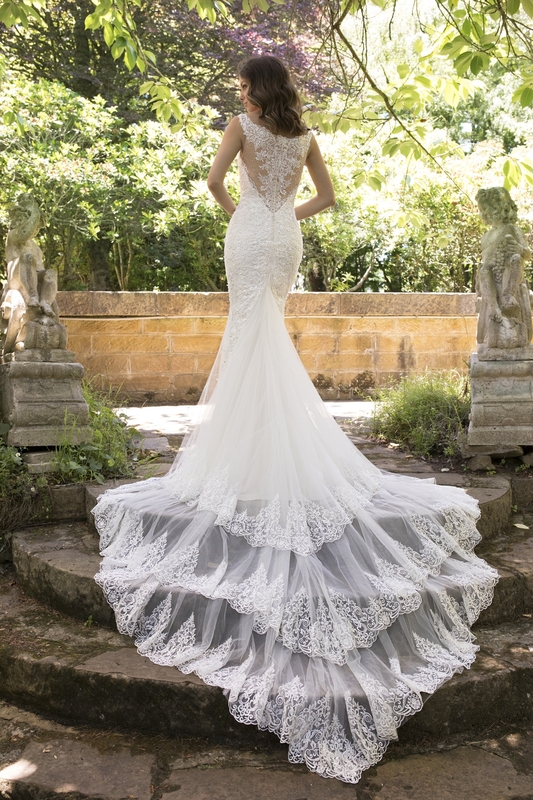 Enter a world of pure romance with the latest Sophia Tolli collection, which has just landed at The Bridal House of Cornwall. 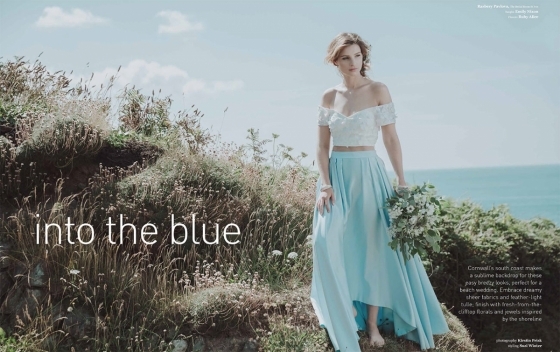 If an intoxicating mixture of fairytale looks, elegant features and feminine forms are what you seek in your bridal wear, then this stunning range of gowns are the spellbinding solution. Sheer lace panels, plunging v-necklines and backs, tulle skirts, stunning corsetry and eye-catching embellishments can all be found in the chic collection of high-fashion frocks, which seamlessly blend a timeless aesthetic with an ultra modern glamorous edge. 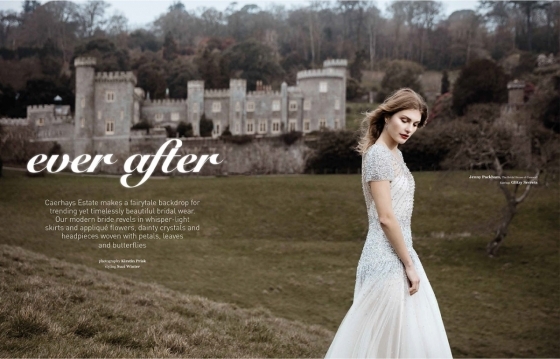 Think sweeping veils and floor-skimming trains alongside sultry sweetheart necklines and curve-hugging cuts for the ultimate in classic-meets-contemporary wedding gowns, where head-turning confections of lust-have materials, delicate detailing and gorgeous shapes ensure all type of bride will find something spectacular to suit. 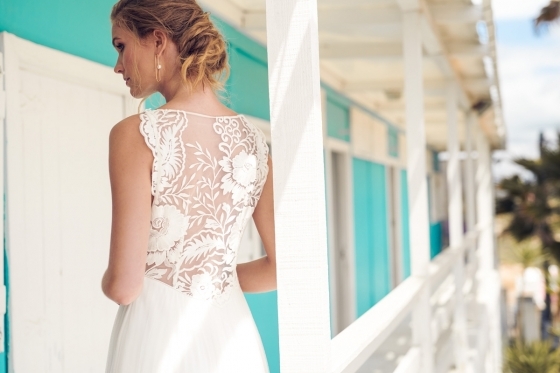 “My collection has two distinct feelings: soft romanticism and traditional bridal drama. 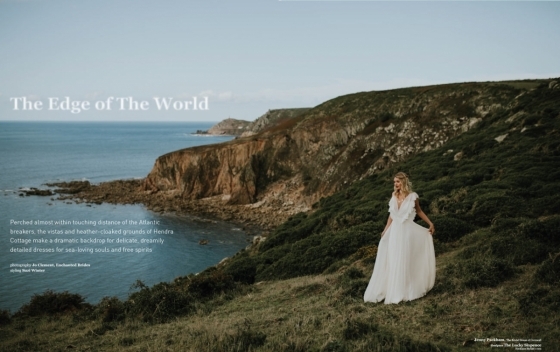 My signature style will always be gowns with an exceptional fit and cut,” says the Australian designer, whose signature style is coveted the world over - and available to peruse at Cornwall's extraordinary bridal emporium.